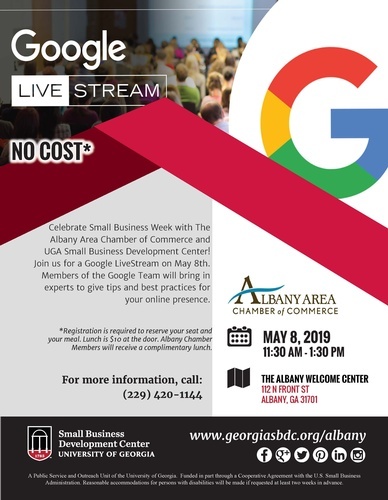 Celebrate Small Business Week with The Albany Area Chamber of Commerce and UGA Small Business Development Center! 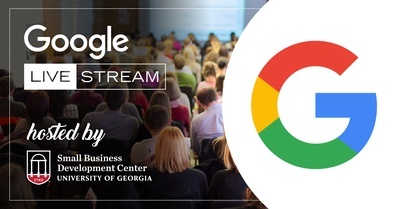 Join us for a Google LiveStream on May 8th. Members of the Google Team will bring in experts to give tips and best practices for your online presence. *Registration is required to reserve your seat and your meal. Lunch is $10 at the door. Albany Chamber Members will receive a complimentary lunch.